Hey there! I just bought myself a set of the Highland infantry standing at ease that Strelets had just put on the market at the end of last year. I've currently painted a number of 14 at approx. 70% readiness when I thought it might be an idea to finish one and show it to the public. Well. You are public, as well. If I'm already battling with that tartan-sort-of-thingies, I think all the world should know and suffer with me. I can only say that I like that improvement that the recent Strelets sets have made. These figures here are now completely able to be but aside other manufacturer's miniatures. Oh - and yes, I chose the 78th because it didn't have white belts and laces. It looks a bit different. And yes, I know about that backpack issue... forgive me. Last edited by Peter on 16 Jan 2018, 17:40, edited 1 time in total. good job! I always have respect dealing with tartans. Great work on the kilt-pattern! Ben90 wrote: Great work on the kilt-pattern! I like the kilt, and the rest of the figure, too. 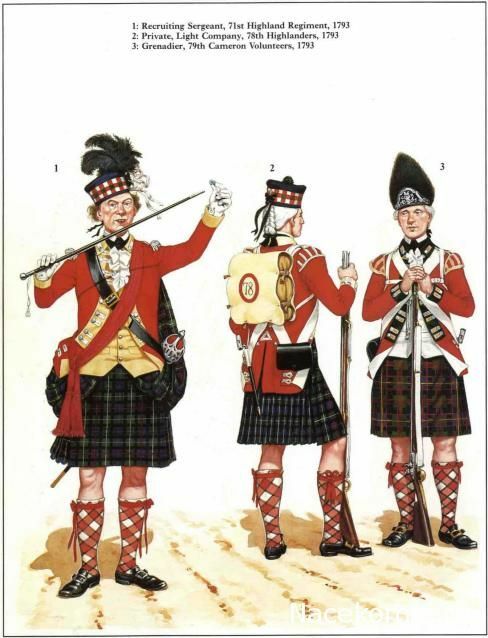 Kilt patterns cannot be recreated for this scale, imo, they can only be approximated. It looks to me that Zed1 has done here a kilt in 1/72 scale about as well as it can be done. I really like Highlanders and this one sounds like it's very good so I'll check in again tomorrow to see if I can see it (that has worked before). In the meantime I'll reflect upon what a very useful organisation Photobucket is. I am curious as to the colour you have painted the cross belts. What were the references for this? Konrad wrote: Can't see the pics! Sascha the figure looks good! PS: use the picture codes of your blog. They work Always! Susofrick wrote: Really very nice! I did not expect of you otherwise. These figures here are now completely able to be but aside other manufacturer's miniatures. I too think that Strelets are on the right way with her newer figures. I like the idea with the "standing at ease" line. Well - note that your pic is from 1793, although it puzzles me a bit. 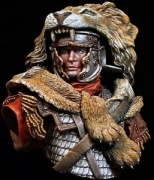 I followed the regulation references, also from Osprey, that regiments with buff facings had buff coloured cross belts as well. Although, throughout the wide range of pictures, it makes one wonder... When I read about it, I mostly only found pics of the 71st, but then I noted the picture of the regiment's founder and later some pictures of the late regiment where the colour wasn't that clear to identify, I decided to go along with what I had read about buff facings/buff crossbelts. But if that's not the case - I'm better in French and Prussian uniform regulations then in British. Correct me if I'm wrong (covering buff with white won't be a problem ). The buff of the 78th was a light buff, so light it was nearer to off white. With the light buff knapsack (until at least 1821) it would seem very strange for them to have almost tan cross belts. Good choice with the 78th BTW. They were at Maida 1806 and there's not enough said about that battle normally. If I may make a suggestion, the socks are diamond pattern not square they need to be painted with diagonals. As per the drawing I posted. Skilfully painted figure, very nice. Absolutely agreeing with the comments on Strelets improved quality standards. Their more recent figures are superb imho. May this prolific & inspiring times last as long as possible! Thanks Peter I can see them now. Sascha, that is a very nice paintjob. The way you've approached the tartan sett works well and it looks good. Great work on the face too, I'm sure i've seen this guy in the Tatoo a few times. I would agree with Fred about the diamond pattern hose and the buff belts could perhaps be a bit paler but maybe this lad just likes his ochre. Strelets have done a very nice job on their Higlander sets, I hope they do very well with them. I am about to commence painting the highland elements of the 5th Division for my Quatre Bras project and I must say what a brilliant job you have done here. Your eyesight is extraordinary to do the writing on the canteen for instance. I have no chance of repeating your success. 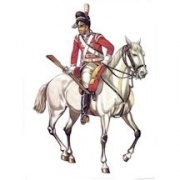 The Cent Jours Website suggests the buff webbing is correct for this regiment in 1815 at least. The Stretlets product is now thankfully in a different league and some or the future releases look very promising indeed.